It’s time for the “Tinsel for Tails” Pet Supply Drive!!! We are collecting items from now until January 15, 2015 to be given to local animal shelters! 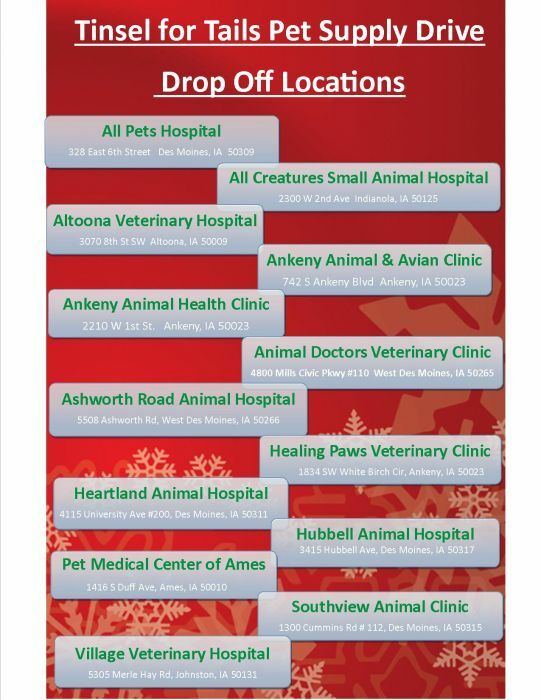 Items can be dropped off at Iowa Veterinary Specialties or any of the participating veterinary clinics. Items needed include but are not limited to collars, leashes, bedding, blankets, food/water bowls, litter, treats, etc.